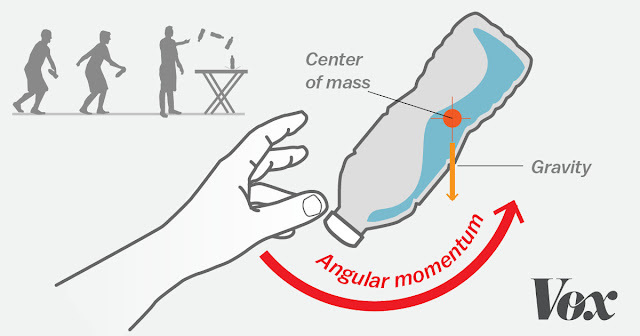 Science-y graphic explaining the bottle flip. A recent internet video fad has been the bottle flip -- a maneuver, usually done by boys or young men, in which a water bottle is thrown into the air and it lands standing. The eleven-year-old has been affected and has been intermittently flipping bottles, even to the point of wanting a photographer present. As of yet we don't have a highlight reel.